What's Happening in Sun Valley? What’s Happening in Sun Valley? Sun Valley Resort is getting ready for the 2018-2019 Ski Season. Are you? 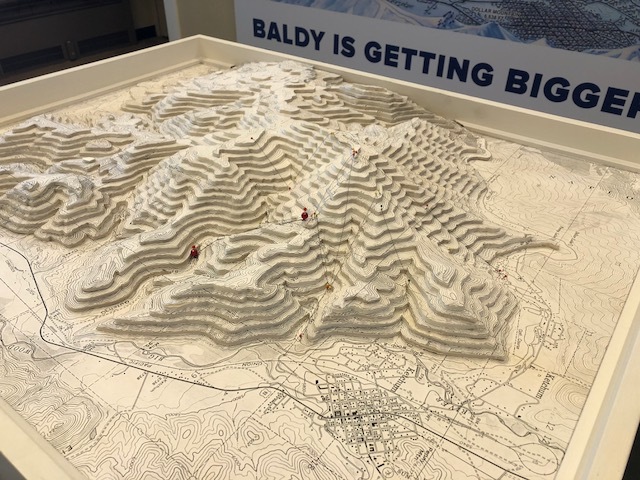 On the embracing the future front, one of the most exciting developments currently underway in Sun Valley is the Cold Springs Canyon Project on Baldy. Whether you love to ski, ride, or ride your mountain bike, the expansion of terrain on the Cold Springs side of the hill will have you super stoked. This expansion increases skiable terrain by 380 pristine acres, and these acres include a wide-open bowl, extensive tree skiing and deep chutes, as well as locals-favorite, Turkey Bowl. The amazing mountain team is also extending Lower Broadway an additional 3,400 feet, giving those who love Sun Valley’s famous groomers more places to explore. 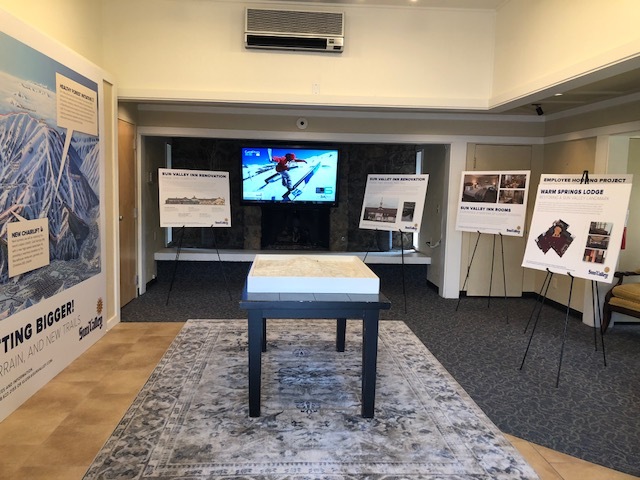 They are calling this a ski area within a ski area that will be served by a new high-speed detachable lift, connecting the area seamlessly and quickly (six minutes!) to The Roundhouse restaurant, the Christmas lift and the Roundhouse Express gondola. Project completion is anticipated for the fall of 2019 and the replacement of the Cold Springs (#4) lift is scheduled for next summer. 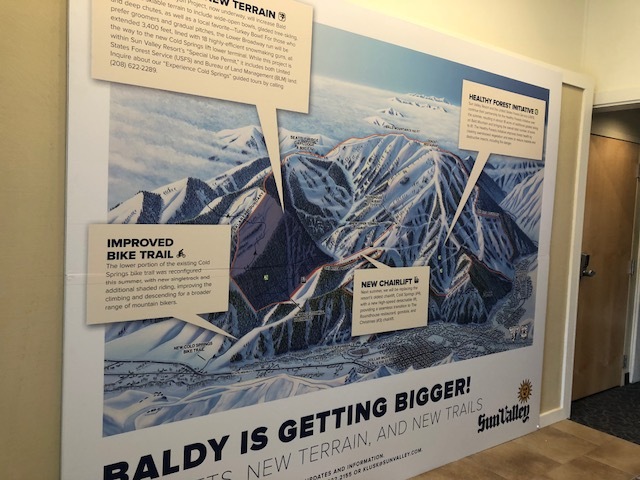 And speaking of summer, this expansion makes the fat tire nirvana that is Sun Valley, even more fun on two wheels. The lower portion of the existing Cold Springs bike trail was reconfigured this summer, adding new single-track and shaded riding, improving the climbing and descending – a boon for a broad range of mountain bikers. 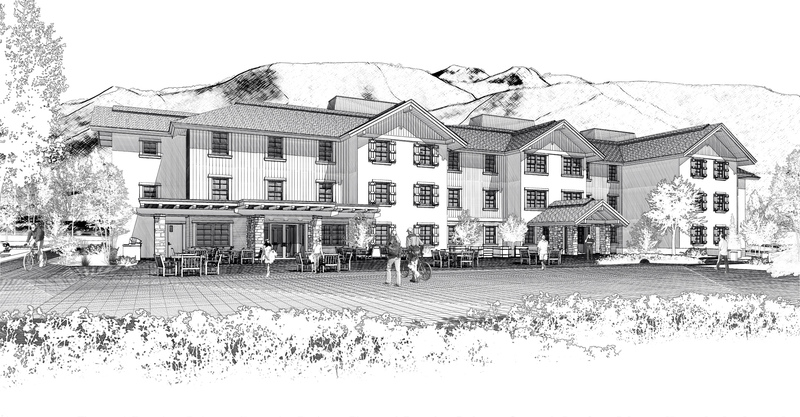 Back in the Village, following the complete re-imagining of the Sun Valley Lodge in 2015, the Resort next moved to giving the popular Sun Valley Inn the same treatment. The first phase of renovations was completed last winter, and now it’s onto Phase II! The first phase saw the complete redesign of 25 guest rooms for the modern, discerning guest, as well as the completion of the Village Station restaurant and a major update to The Ram restaurant and The Ram Bar. The second phase begins in September 2018, with a projected completion of January 2019. The remaining 80 guests room will be outfitted with the same sophisticated décor, carpeting, and wall coverings as the first phase. 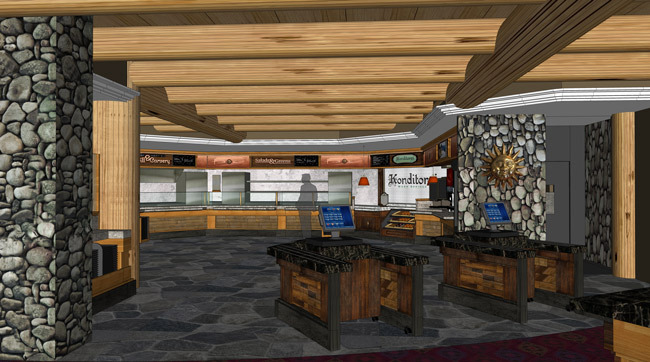 Everything will be fresh and brand new while retaining the traditional look and feel of the historic hotel. 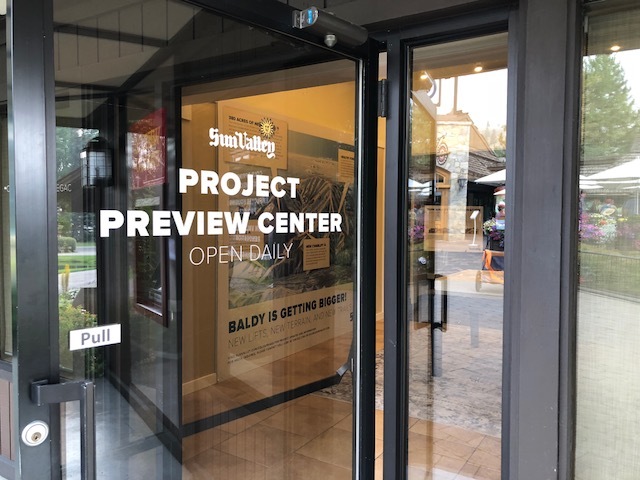 A new fitness center and a new archway to connect the Village to Inn parking (like the one at the original 1937 Challenger Inn – very exciting to those of us who remember this convenient thoroughfare from the past!) are also planned. Living the motto, “Continuing our legacy by building for the future”, Sun Valley’s future is now!